Thank You for Care Packages! ​Here's a thank you letter for the Hawaiian themed care packages we sent to troops in Afghanistan. Mahalo nui loa! 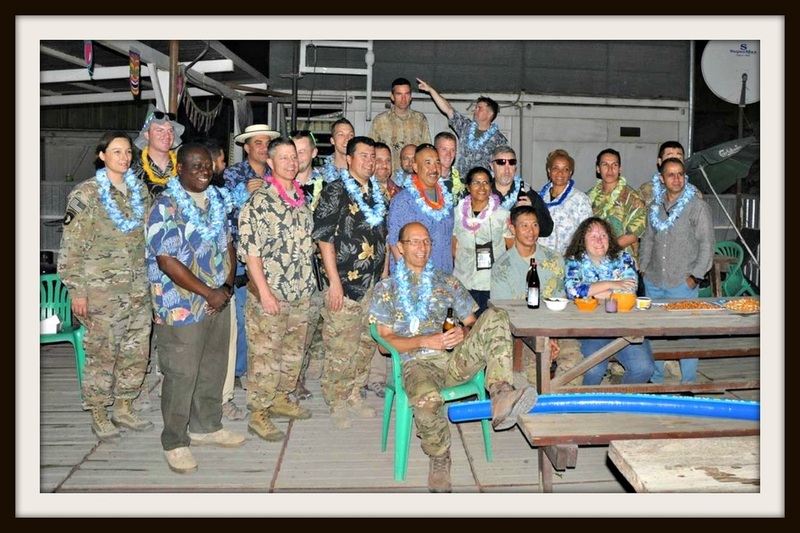 Our office put the Hawaiian shirts, leis and decorations to good use at our last hail and farewell. The pineapple and tropical fruit made great side dishes for our BBQ'd chicken. We enjoyed the break from our normal routine and the opportunity to just hang loose. We have passed the torch (so to speak) to another office for their enjoyment. We know a lot of thought and effort go into sending care packages our way. We appreciate all that you, the donors and volunteers do to make our deployment a better experience and to remind us that while we may be far from home, we're not far from everyone's thoughts. Glad I'm finally able to deliver on promised photos (complete with sunglasses). I would like to stop and say thank you. You took the time our your busy lives to help me out and show my fellow Marines that we are loved and cared about back in the United States since we are deployed. Many of us have not received gifts or anything but this will keep our spirit up and keep us going from day to day as we fight to protect your freedom. I just want to say thank you again for all that you do to help and support my fellow brother and sisters. I just wanted to thank Airborne Angel Cadets of Texas for the care packages that you sent. I volunteer time at the Red Cross Center on our Camp. I help distribute and redistribute donated items. I found your letter inside one of the boxes. We're really appreciative of the items that you sent. All of the items will be put to good use. Service Members drop in everyday and are very appreciative of the donations. I'm about a week late in writing to thank you for the DOZEN boxes full of girl scout cookies and other goodies. My colleagues and I were overwhelmed by the generosity and very appreciative of all you do for our service members. The boxes were either opened immediately and the items put in their proper place within our small area or full boxes delivered to our "neighbors." I can report that the training division and the special ops guys nearby were beneficiaries of the cookies, water flavor enhancers, pain relief, playing cards, bags, DVDs, CDs and phone cards. 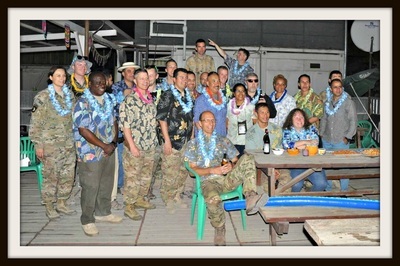 We also shared with the USO, post office and National Support Element. I made some deliveries to the security guards and military working dog handlers --- a care package out of the blue like that brings a smile to everyone's face. A heartfelt thank you from me and those around me. I just wanted to send a HUGE THANK YOU to you for the care packages and all of the awesome cookies and goodies that you sent us. We are going to enjoy them as well as share them with other organizations. We have a team from mental health that goes out and does community outreach and we will send some along with them to help boost spirits around the base. Thank You for your continued support and for all that you do.